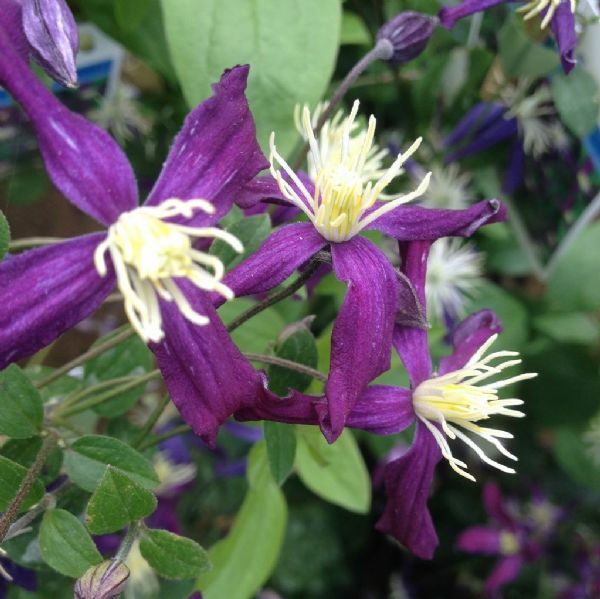 Clematis Aromatica as its name suggests... is particularly highly scented. The delightful purple star shaped flowers appear from June to September during which time they mature to a more blue colour. This is a clump forming variety that will reach around 6ft maximum and is non clinging. Perfect for pots, containers or the border.